John Anthony Hardon was born on June 18, 1914 in Midland, Pennsylvania, USA, into a devout Catholic family. When Hardon was just one year old, his father John, aged 27 years, died in an accident. He was killed instantly by falling from a scaffold on which he was standing to perform an act of charity for a co-worker. Hardon’s mother Anna (Jevin), aged 26 years, supported the family by working as a cleaning woman, working nights in order to supplement the small recompense she received for her husband’s death. Hardon’s mother maintained this work throughout her life, and never remarried, out of concern for the influence a possible stepfather might have on her son’s vocation. Hardon’s childhood was happy and devout. His mother attended daily Mass and Holy Communion throughout her life. His childhood home had sacred pictures, a family holy water font, and a good deal of spiritual conversation. Hardon’s mother took in two female Lutheran boarders to supplement the family income. Both boarders had a very positive relationship with the family, and attended Father Hardon’s first Mass after his ordination. John Anthony began his grammar school education at Saint Wendelin School in Cleveland, Ohio, walking two miles each way from home to school and back. After his third year in grammar school, Hardon and his mother moved to Saint Michael’s Parish. Hardon excelled in academics, and consistently placed at the top of his class. It was also during these days of Catholic grammar school that Hardon formed his intention to become a priest. In his high school years, Hardon applied and was admitted to Cathedral Latin, a Catholic high school located 15 miles from his home. Taught by the Brothers of Mary, Hardon was confirmed in his Catholic faith during these years. Hardon studied the role of Bishop of Rome as Vicar of Christ, a subject which laid the groundwork for his future doctoral dissertation on the papacy. He also imbibed devotion to the Blessed Mother, and the tradition of opening and closing each class with a prayer, a tradition which he continued throughout his own teaching career. As Hardon completed high school the thought of a priestly vocation continued to grow. Unwilling to leave his widowed mother alone, however, Hardon decided against the seminary directly after high school. With the help of savings his mother had put aside specifically for his future, Hardon enrolled in John Carroll University. He rode the streetcar to and from school each day, at a distance of three to four hours daily. This distance, and his mother’s financial sacrifice to send him to University, brought Hardon to appreciate both his faith and education at a much deeper level. In his first two years at John Carroll University, Hardon pursued studies in science, with the intention of becoming a medical doctor. However, under the guidance of his priestly advisor, Hardon began, in his third year of studies, to discern more clearly his own call to the priesthood. As he moved interiorly toward a priestly vocation, Hardon changed his course of studies to include Latin, philosophy, and college theology. Hardon was instinctively attracted to the religious life, thorough the example of his Jesuit teachers, and began reading the lives of Saint Ignatius of Loyola, Saint Francis Xavier, and Saint Aloysius Gonzaga. Both the academic rigor of the Jesuit Order, and their special fidelity to the Holy Father, attracted Hardon to the Jesuits. It was in his senior thesis that Hardon also weighed the possibility of becoming engaged to a grammar school friend, with whom he had kept in contact throughout his college years. While the young lady was bright, friendly, and faith-filled, Hardon decided that his future lay with the Jesuit Order. He broke the news to her at dinner on the Sunday evening before entering the novitiate. Her tears at this news, however, did not deter Hardon in his vocation and the young lady went on to become happily married with a family and several children. With his mother’s blessing, Hardon was now free to pursue his priestly vocation. He obtained his Bachelor of Arts degree from John Carroll University in 1936, and entered the Jesuit novitiate that same year. He later commented about his vocational decision, “Over the years since that decision, with God’s grace, I had never once doubted that what I was doing was consistent with the Divine Will. … A vocation to the priesthood is a special call from God that nothing, and I mean nothing, should raise a doubt whether to answer the call or not.”(4) On the eighth day after his entrance into the novitiate, Hardon’s acceptance to the Order was confirmed by the tradition of finding a Jesuit habit lying on his bed for him to wear. In his enthusiasm about being accepted into the Order, Hardon spontaneously kissed the habit. He continued this tradition every day throughout his priestly life. Father Hardon received his Sacred Theological Doctorate (S.T.D.) from the Gregorian University in 1951, with a dissertation on the supremacy of the Roman Pontiff in teaching Catholic faith. He later commented, “I could not have chosen a better subject in preparation for a lifetime of teaching Catholic doctrine.”(8) He pronounced his final vows to the Society of Jesus on February 2, 1953, the Feast of Our Lady of Purification. Father Hardon then began an illustrious teaching career, spanning both centuries and continents. He served as an associate professor of Fundamental Theology at West Baden College, Indiana, from 1951-62, and as an associate professor of Religion at Western Michigan University from 1962-67. Hardon was then sent to teach as a professor of Fundamental Theology at Bellarmine School of Theology, in North Aurora, Illinois, and Chicago from 1968-73. In 1973 he became a research professor at the Jesuit School of Theology in North Aurora. From 1974-88, he taught as a professor of Advanced Studies in Catholic doctrine at Saint John’s University in Jamaica, New York, and served as a visiting professor of Comparative Religion at Saint Paul University, in Ottawa, Canada, from 1968-74. Father Hardon also taught as a professor at the Notre Dame Institute, a Pontifical Catechetical Institute, in Virginia, from 1981-1990. Father Hardon also dedicated himself to the apostolate of writing. This call to teach and evangelize through the written word was felt strongly by Hardon from a young age. Among the dozens of books authored by Father Hardon on the topics of religion and theology, his most defining works include his authorship of The Catholic Catechism (1975). This work stands as a defining contribution to Catholic orthodoxy, written at the request of His Holiness, Pope Paul VI, with whom Father Hardon had a close working relationship. Father Hardon also wrote the Modern Catholic Dictionary (1980), a detailed Catholic reference dictionary. He served as the executive editor of The Catholic Faith magazine, editor of Gospel Witness, and a contributing editor of Challenge magazine, London and Canada. Father Hardon also served as a consultant for the drafting of the Catechism of the Catholic Church, written by Joseph Cardinal Ratzinger (now Pope Benedict XVI) and promulgated by His Holiness, Pope John Paul II in 1992. 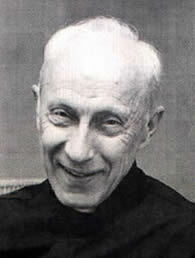 In 1995, at age 81, Father Hardon inaugurated a series of full-semester courses by teleconference, published in albums of twelve audiocassettes on a variety of topics including, Angels and Demons, The Blessed Sacrament, The Sacraments and the Marian Catechist, The Spiritual Exercises of Saint Ignatius of Loyola, The Profession of the Roman Catholic Faith, Catholic Sexual Morality: A Challenge—A Solution, The Truth Crusades Series I, II and III and the Ten Commandments. This work in the audio field broadened Father Hardon’s ability to reach people with the Gospel message through the use of mass media communications. The importance of the mass media continued to be a focus of Father Hardon’s teaching and apostolates. Both the Marian Catechists Apostolate and the Father John A. Hardon, S.J., Media Apostolate (founded posthumously at Father Hardon’s request) focus on bringing the faith to the modern world through the means of mass media communication. Throughout his life, Father Hardon was recognized for his heroic efforts to catechize and to preach the truth “in season and out of season.” He was the recipient of the Papal Medal in 1951. He was honored for his outstanding work in the field of history by the Catholic Press Association in 1973. In 1978 he received a medal from the Slovak World Congress. In 1984 he received the Cardinal Wright Award from the Fellowship of Catholic Scholars. He was honored with the Saint Maximilian Kolbe Award in Mariology in 1990. Father Hardon was also a member of the Catholic Truth Society, the Society for Religious Vocations, the Instituto Slovaco, the International Association of Mission Studies, and the Fellowship of Catholic Scholars. Father John Hardon passed into eternity on December 30, 2000, at the Columbiere Jesuit House in Clarkston, Michigan. Efforts are in progress for the creation of a permanent archive and study center on the life and work of Father Hardon at the Shrine of Our Lady of Guadalupe, in LaCrosse, Wisconsin. This archive is temporarily located in Saint Louis, Missouri. Fr. John Hardon, S.J., Spiritual Autobiography, Hardon Archive, unpublished, 6. Find More on Father Hardon in the Bookstore!